EURUSD took a sharp dip, as expected, towards 1.4000 level but was just not able to make it to that mark. 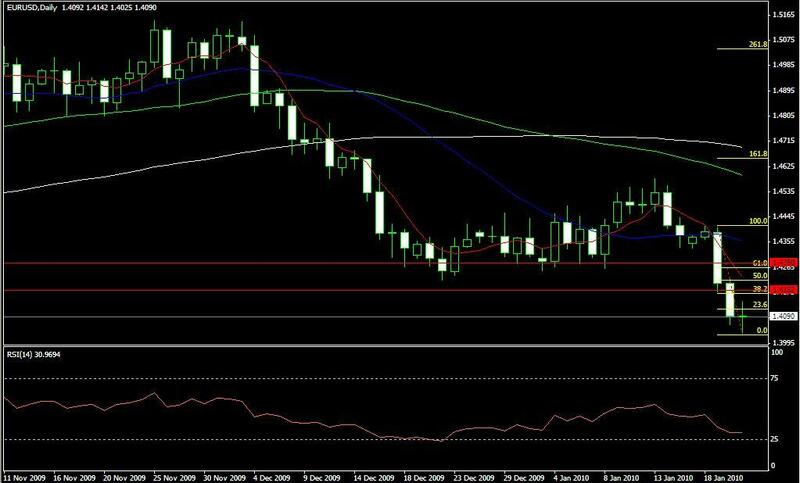 We might see EURUSD making another attempt towards 1.4000 level but before doing so, we expect some retracement by EURUSD. What traders will look now to is different retracement levels EURUSD has to offer. The fist interesting selling level can be see at 1.4180 and the second at 1.4280 level. Most traders might look for levels in between those two levels.